Friday Favorites – Where have you been? Happy Friday! 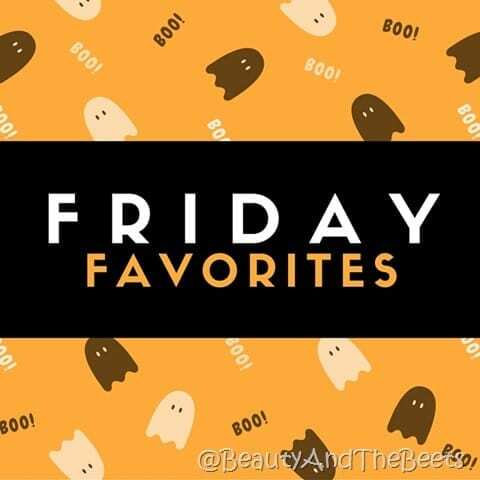 I have not written a Friday Favorites post in sooooo long but today I am back and happy to share what has been happening in Beetsland. I have been traveling so much I feel like anytime I get to spend at home is a treat. Not that I am complaining. 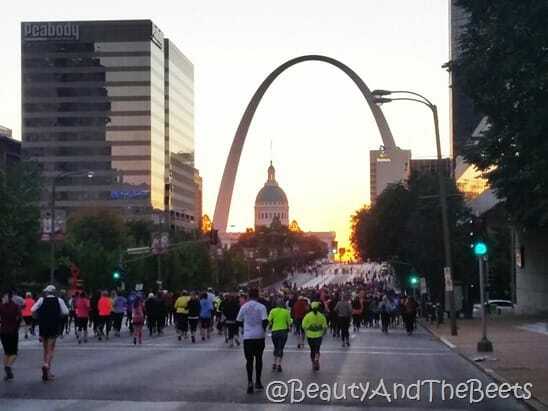 One of the things I have always wanted to do was go to the top of the arch in St. Louis and finally I did. It was simply amazing but I think I had the most fun just wandering around the city. I completed my fourth half marathon in St. Louis- the weather was in the mid-40’s which is perfect running weather and the course was beautiful at every turn. I will be recapping the race later. In the meantime, you can check out a day of St. Louis eats here. Last month I went to BloggyCon for the second year in a row. I love this conference because it is held right at Cedar Point Amusement Park on Lake Erie in Ohio. We attend sessions during the day and then we are free to visit the park in the evening. 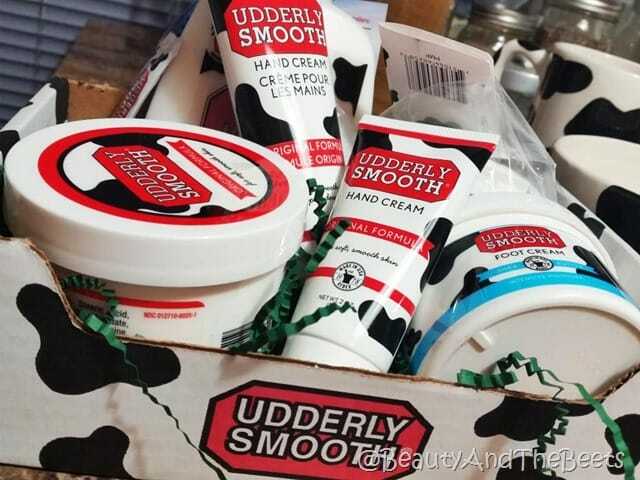 After the conference I received a box of goodies from one the conference sponsors- Udderly Smooth. I love their lotions and loved this gift basket. Plus I was sent a cow bowl and a cow mug. Score!! 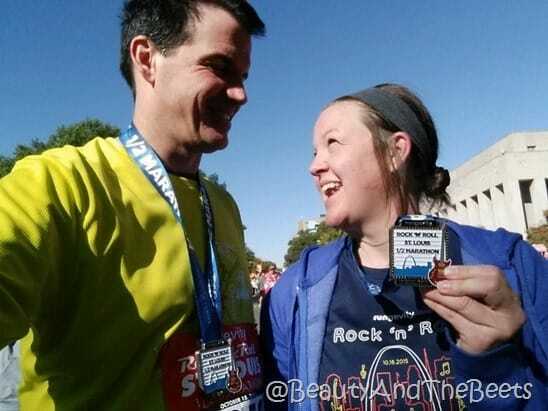 And finally- I am so happy to announce that I was chosen as an ambassador for the 2016 Publix Half Womens Marathon being held on April 2, 2016. Not only will that be my birthday, it will also be my NINTH half-marathon. What? Who am I?? As an ambassador I have a discount code for anyone who wants to join me!! The code is BEETS10. Who’s in? Oh….one last thing. Sullingham J. Moose has been practicing his evil looks for Halloween. 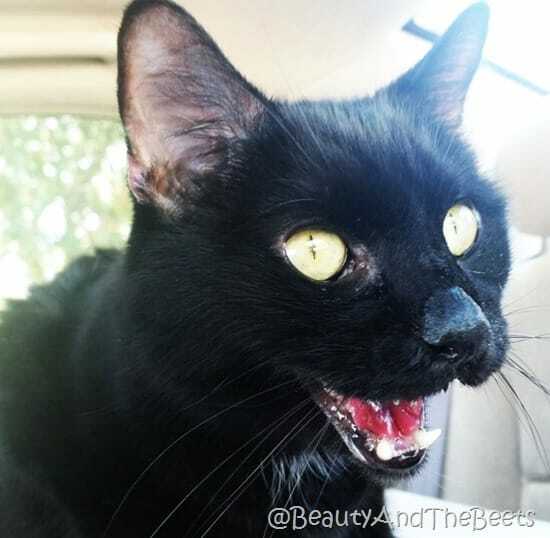 Being the black cat that he is, he prepares for October 31 all year. What do you think of this look? Is he scary enough? And that is all for me this Friday!! Please visit the Friday Favorites party with Heather over at Life in Leggings and make some new friends. I hope everyone has a great weekend and I will see you all on Monday! !